Grandma Bonnie's Closet: UncommonGoods Iconic Camera Bag And Much More! Disclosure: Grandma Bonnie's Closet has not been compensated for the following product review. I received samples of the products mentioned below for review purposes. All opinions expressed are my own. 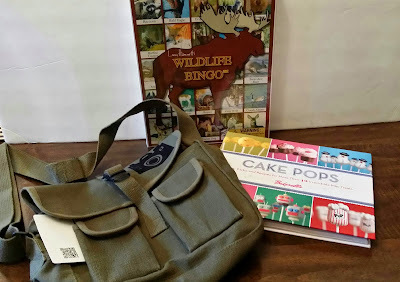 I was tickled pink when I heard I would be reviewing products from UncommonGoods. I love shopping gifts online and UncommonGoods is the place to find fine quality, handcrafted products my family will be sure to enjoy. Most of their products are made here in the U.S.A. With that being the case I can enjoy shopping and knowing I am supporting artist and designers in our own country. Hand-flocked in Minnesota and made of 100% cotton. 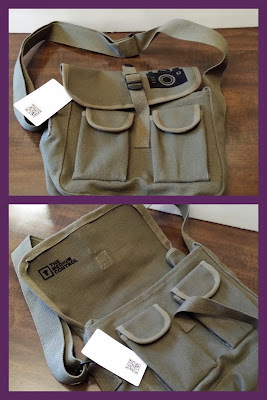 This army green messenger bag will be perfect for caring my camera, tablet and electronic cords. The main compartment is nice and roomy. Its strap and buckle closure makes its contents very secure. The two small front pockets have Velcro closures. They are perfect for sunglasses, tissues or other small items. 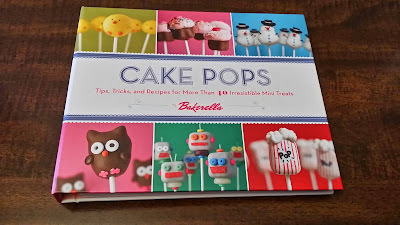 Next is this great Cake Pops Book. I tried this book out personally. It has complete instructions on making cake pops and cake balls. 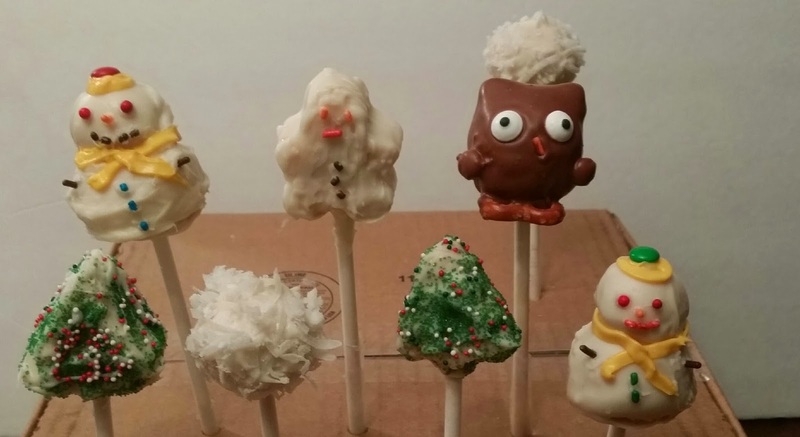 You do not even need a cake pop maker or cake pop pan. What do you think of the little owl I made? The step by step instructions are easy to follow. 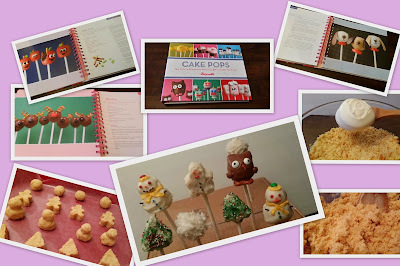 There are recipes for many different kinds of cake and cake pops. The book is priced at $20 making it an affordable gift for the baker in your life. You can also find other gifts for under $50 on this page: http://www.uncommongoods.com/gifts/by-price/gifts-under-50. Last, but most important. A Wildlife Bingo Game for the grandchildren. This Bingo game is very educational. The grandchildren love animals and are going to have lots of fun playing this animal style bingo game. There are 42 wildlife animal cards that can double as educational flash cards filled with fascinating facts about bears, turkeys, porcupines and more. Recommended age: 3-11+, accommodates 2-6 players and is made in the U.S.A. If you are still looking for something with a bit more price. Check out the gifts under $100 on this page: http://www.uncommongoods.com/gifts/by-price/gifts-under-100. Readers what do you think? Have I found some good gifts? Have you completed your holiday shopping? Those look like excellent gifts! I love Uncommon Goods. The camera bag is really cool. I have not yet shopped at UncommonGoods but I love that Bingo Game. We play games at all our get togethers and this would be a fun one for the kids.